Dwell by Cheryl: "Light and Bright Living"
I know I haven't mentioned it here, but for months I've been tossing around the idea of lightening up my living space. Believe it or not, this is the ONLY space in my house that I haven't touched in the 8 years I've lived here. I think when I moved in, I felt like the color wasn't bad and that I'd just make it work. 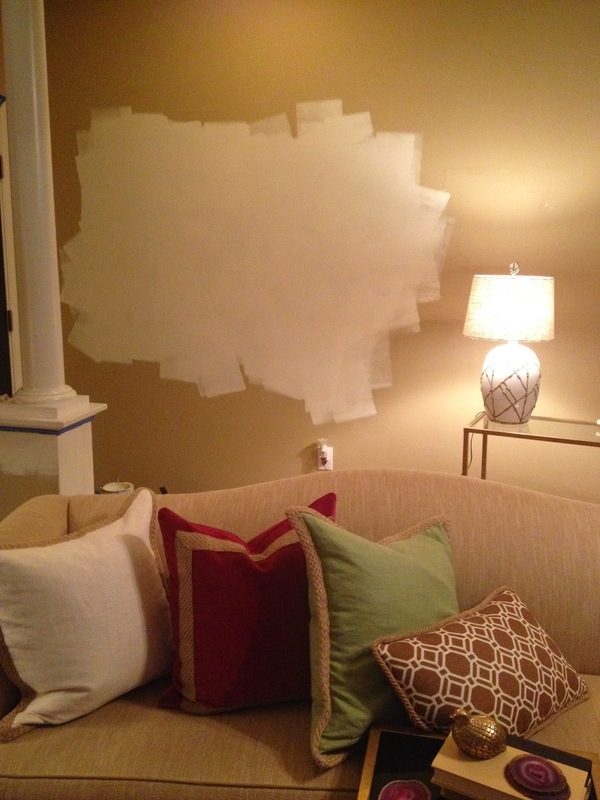 Well after years of "making it work", I grew tired of the peanut butter colored walls. 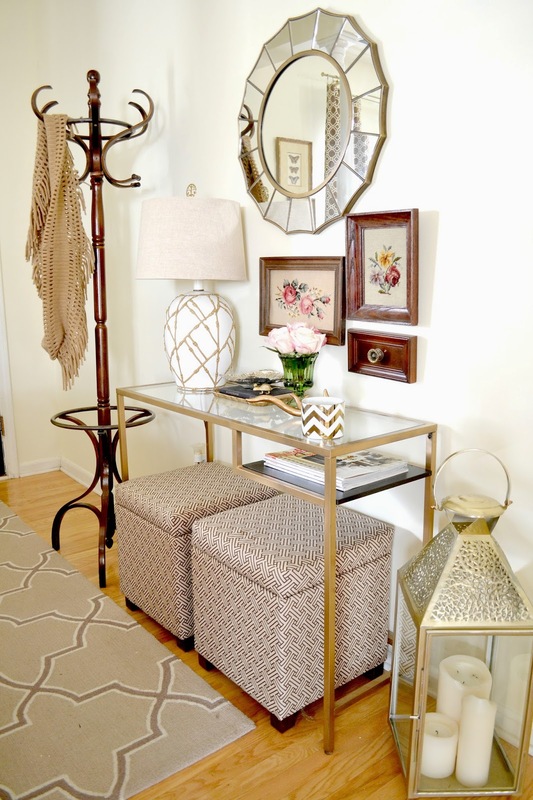 I started to dream of a light and bright space to serve as a clean backdrop to the pops of color I tend to gravitate toward. 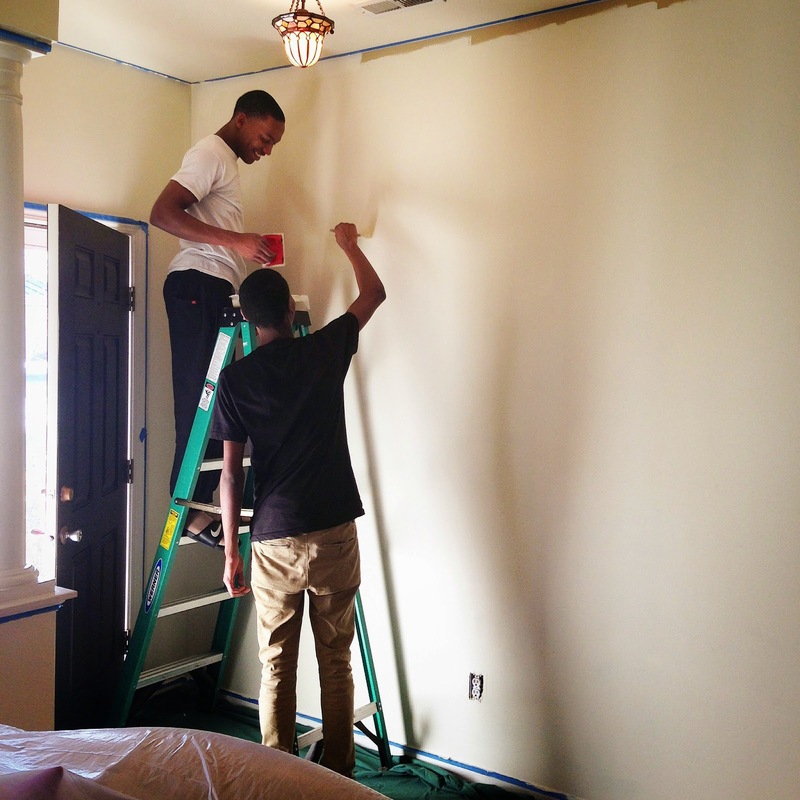 The driving factor in the color selection was actually the need to keep the stenciled wall that I completed last year. 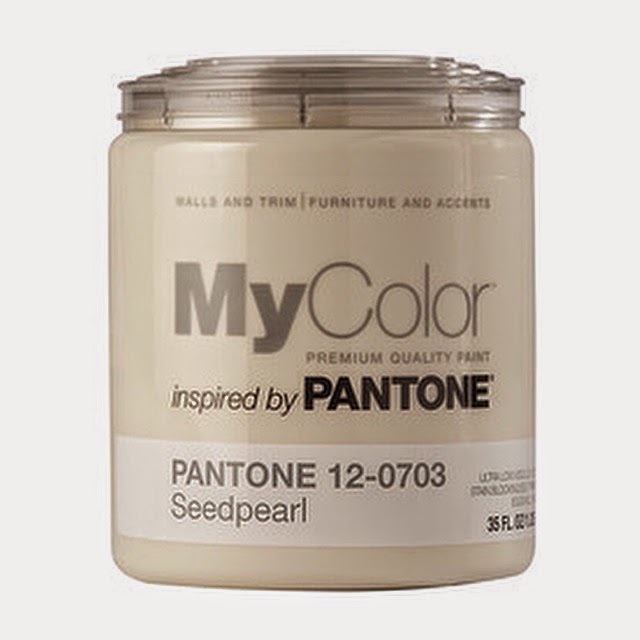 I decided to go with the base color from that project, a rich and creamy off-white called Seed Pearl by Pantone. Here's the thing, once I make up my mind to do something, I waste NO time in getting it done. Only a few nights later, I had the paint purchased and started to throw up a sample to see what I could expect from the finished project. By sunrise on Saturday morning I knew I'd made the right choice. 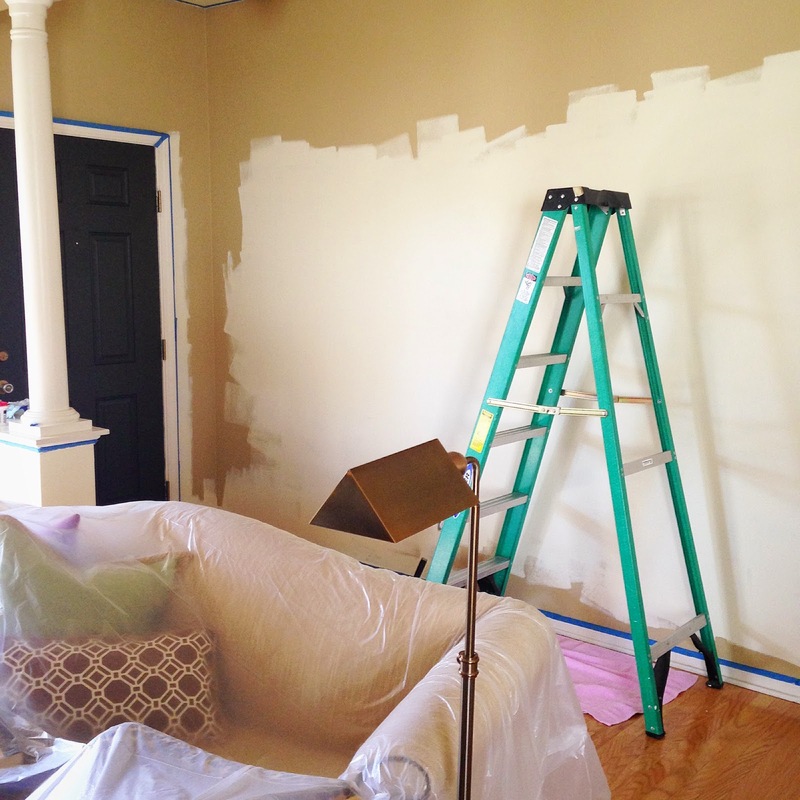 Now there was the matter of little ol' me getting the largest room in my house painted in one weekend. Nothing like teenagers with a strong work ethic to help you knock out a project. They had my entire space painted in a couple of hours. A couple of pizzas, a two liter soda and a little "change" in their pockets and we were done! P.S. I need a plant suggestion for an area with low light. Me and this fiddle leaf in this space aren't working out. 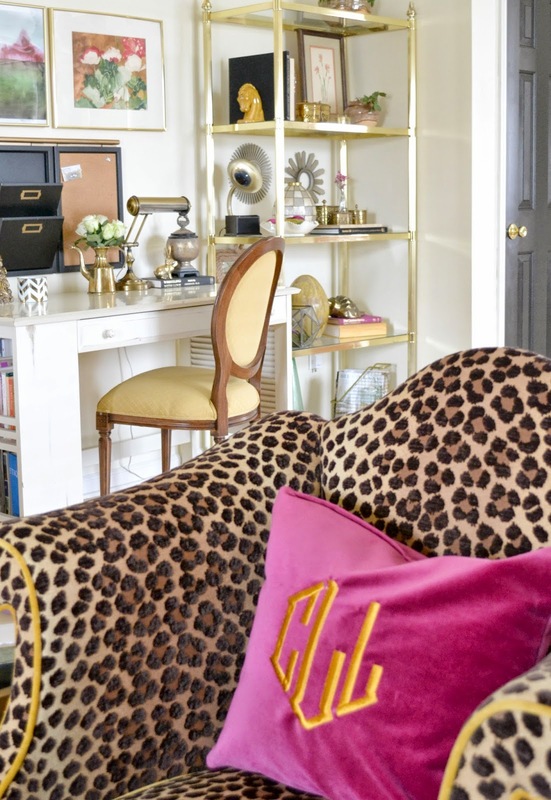 I added this punch of pink to my new leopard chair and I'm still a little ticked off at the monogram shop for totally putting the monogram on upside down. Notice the zipper at the top of my pillow? Urgh! Gotta get that fixed. Here's a really good before and after. It's not a huge change, but the feeling in the space is completely different. It feels bigger. It really is amazing what color can do. Beautiful and stylish. Love your space. Wow! 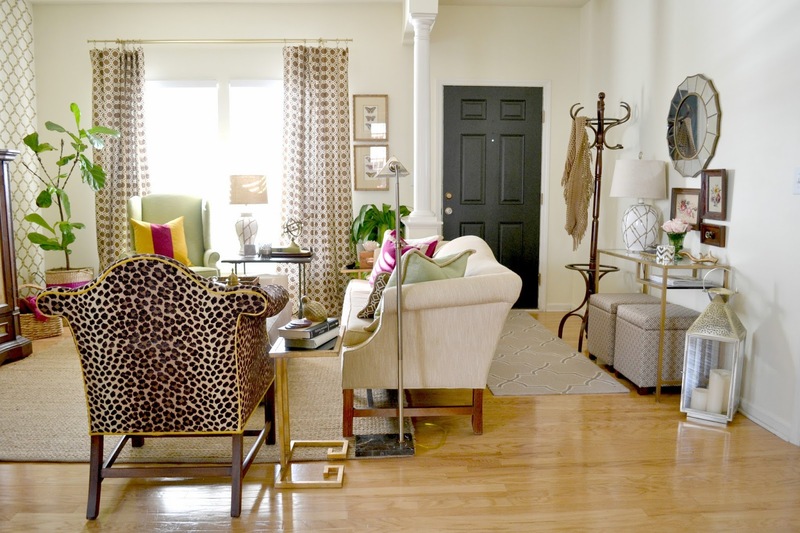 it's amazing how a lighter wall color brightens the room and makes it look more open. Well done! Love the color change. 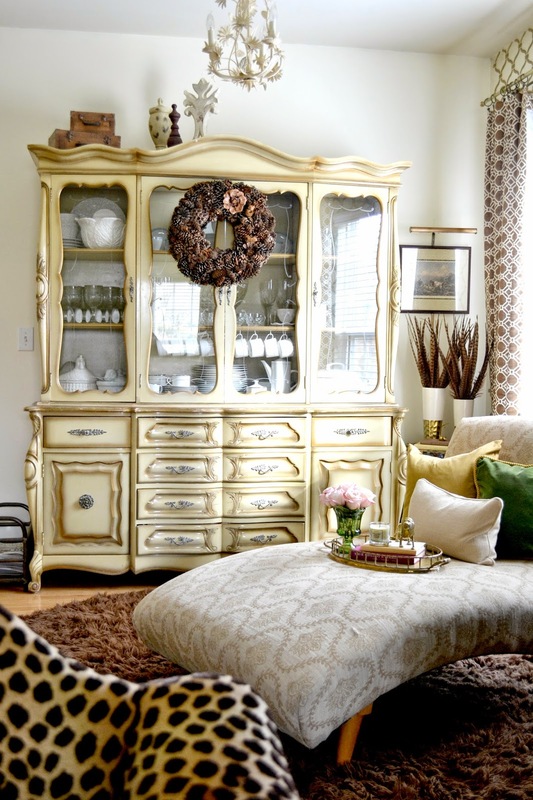 Your home is filled with lots of personality and pizzazz! Jumped of from Carrie's (Cosy Carolina), and so glad I did. What a gorgeous space. And, it is amazing what a difference the white paint made. It really did open up the room. I also jumped over from Carrie's blog and now I'm a new follower. So glad I found your blog. 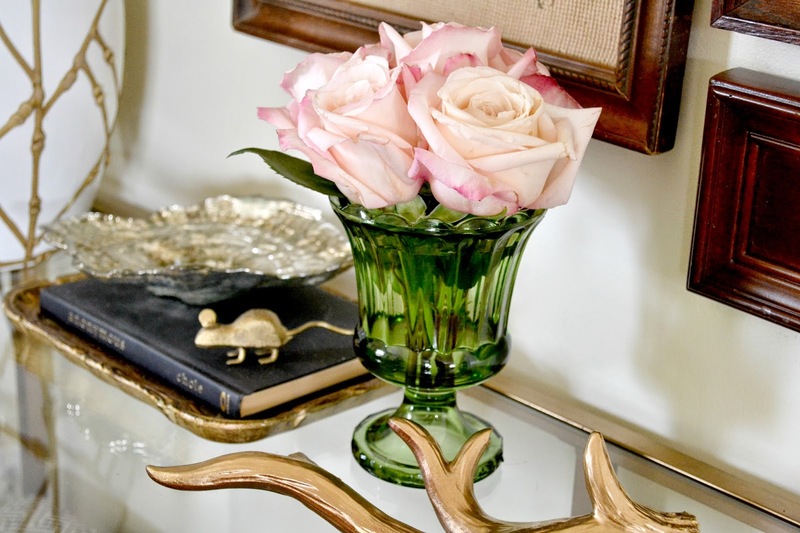 Your home looks so chic! 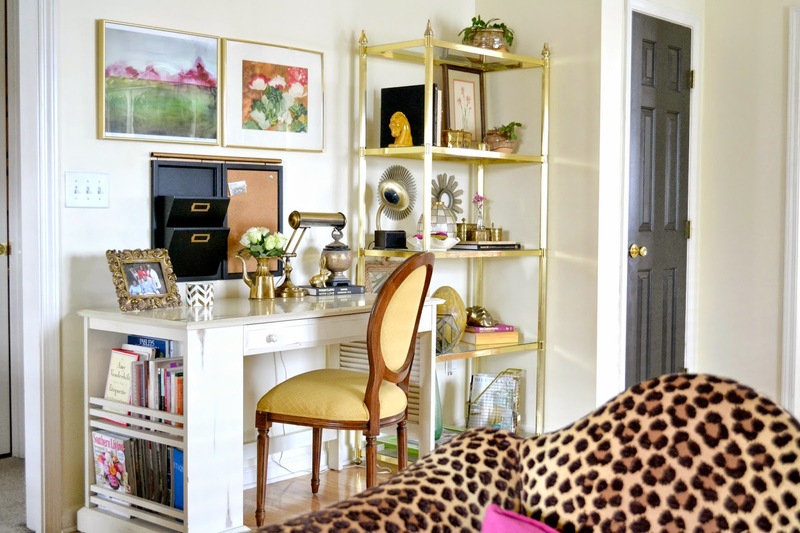 I can't get over the transformation the paint gave your room. It's really fresh, but still warm. Can I ask if your room gets a lot of natural light or not? 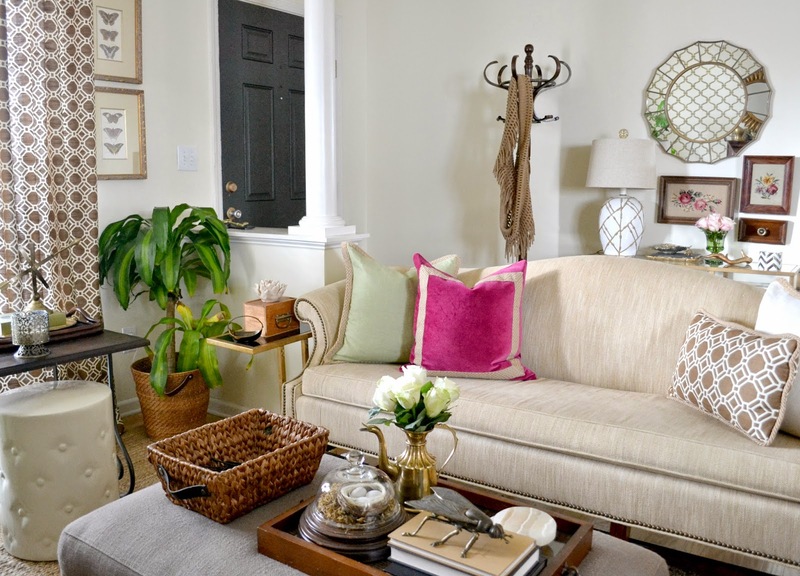 I've been contemplating a creamy off-white to replace my SW Kilim Beige Living Room, but I'm hesitant that it will fall flat since it's North facing and kind of dim. Beautiful job. Looking forward to sifting through your blog. Erin, Thanks so much for the compliment and thanks for becoming a new follower. The room doesn’t get a lot of light. There are only two window and one of them is on the front which has a covered porch. This is one of the main reasons I went with a lighter color. Good luck! Wow! That looks amazing! What a difference it makes!